Microsoft is to end its three top-level Masters Certification programmes on October 1, the company has revealed in an email sent to IT professionals. The exams Microsoft will "retire" are: Microsoft Certified Master (MCM), Microsoft Certified Solutions Master (MCSM), and Microsoft Certified Architect (MCA). In the full explanation posted on Microsoft's TechNet blog, the company confirmed that the certifications will still be recognised and valid, and those that hold them will not have to retake them in the future. 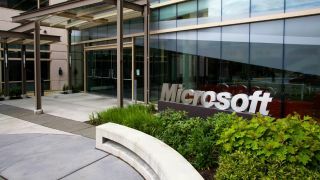 But the decision has sparked fury among IT professionals who have spent years studying for the programmes, and petitions have been set up on Microsoft's Connect website protesting over its financial implications. Though the Redmond giant held back from giving a concrete explanation for the cancellation, it said: "The IT industry is changing rapidly and we will continue to evaluate the certification and training needs of the industry to determine if there's a different certification needed for the pinnacle of our programme." It also encouraged those connected through the certification programms to remain in contact, adding: "Although we won't be adding more people to this community, you continue to be a valued member of it. "Over time, Microsoft plans to transition the distribution lists to the community, and, with your consent, will include your information so that it can continue to be a valuable resource for your ongoing technical discussions." The announcement comes just weeks after Microsoft last angered IT professionals by announcing the closure of its TechNet software evaluation programme before ushering people toward its comparitively more expensive MSDN subscriptions.